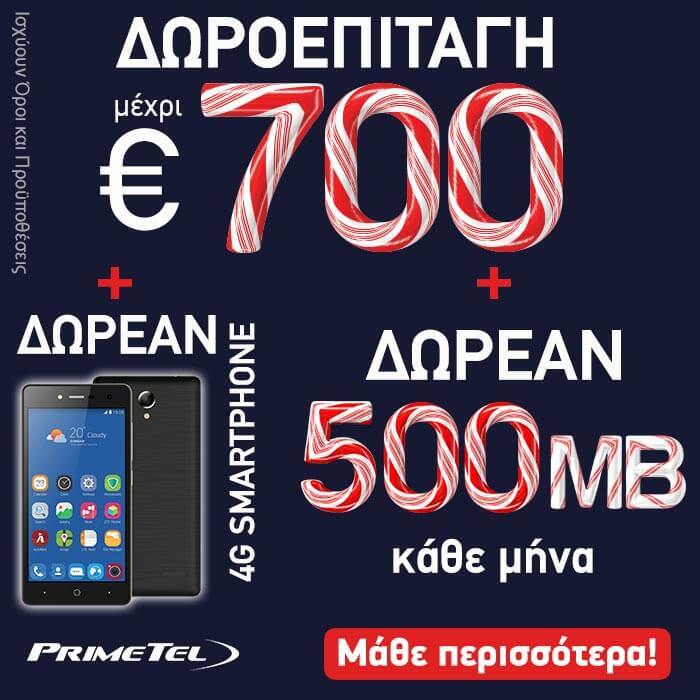 PrimeTel representatives will be at The Mall of Cyprus on Saturday, 23 December, between 10 am and 8 pm in order to inform the public about the NEW AMAZING PRIMETEL CHRISTMAS OFFER! You can subscribe to any UNLIMITED MOBILE PLAN and get a gift voucher of up to €700 plus a FREE 4G Smartphone. At the same time, you can participate in various interactive games and in a lucky draw for 2 tablets and other great gifts.